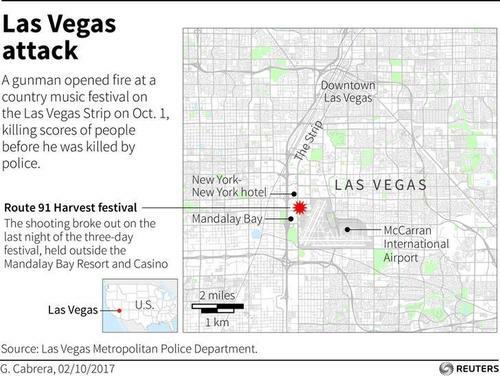 Investigators probing the mass shooting at a Las Vegas concert planned to interview the gunman’s girlfriend on Wednesday, a day after she returned to the United States from the Philippines, while her relatives told media she had not known of his plan. - In the quiet cul-de-sac where Stephen Paddock lived, even his immediate neighbors say they didn’t know him. - President Donald Trump arrived in Las Vegas on Wednesday, a trip that will test his ability to console a shocked nation. 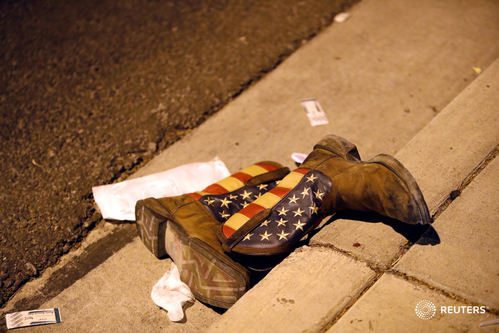 U.S.A gunman killed at least 50 people and wounded more than 200 at a country music festival on the Las Vegas Strip on Sunday, raining down rapid fire from the 32nd floor of a hotel for several minutes before he was shot dead by police. Warning. This video may contain scenes that some may find distressing. 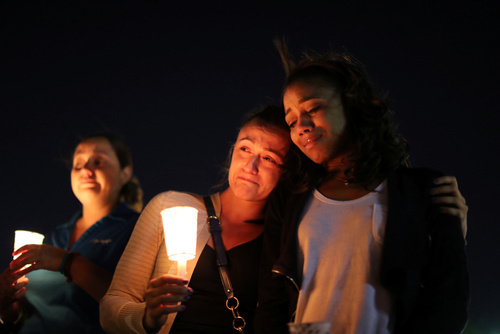 "This morning, our nation awoke to news of the largest mass shooting in our history. All of America grieves for the innocent men and women whose lives were cruelly cut short by this tragedy, and our prayers are with the families of those wounded and missing." Kevin McMahill, undersherrif, said police doing security could see where the shooting was coming from on the hotel's 32nd floor. "What we know is once we arrived up there, we had isolated this individual to these two rooms," McMahill told CNN. A SWAT team used explosives to get in the room "to confront the individual," he said. "I cannot tell you that it was the police that shot him. He may have self-inflicted that gunshot wound," he said. The shooter had at least eight guns. Police have found no prior criminal record besides a minor traffic infraction in Nevada. The latest press release from Las Vegas police. Las Vegas police say 406 people were transported to local hospitals. German Foreign Minister Sigmar Gabriel said he was shocked about the "massacre" in Las Vegas and offered condolences to all involved. In a statement, Gabriel said the German embassy in Washington was in touch with authorities to determine if any German citizens were among those killed or injured. 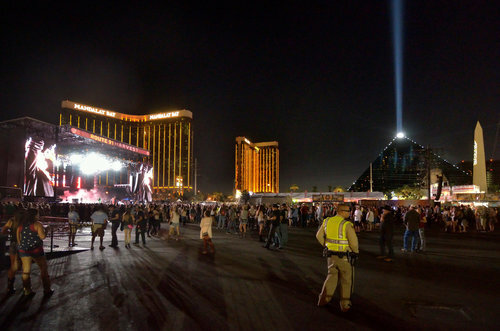 At least 50 people were killed and more than 400 injured when a gunman opened fire on a country music festival in Las Vegas Strip on Sunday, raining down bullets from the 32nd floor of a hotel for several minutes before shooting himself dead, according to police. Shares of Las Vegas casino operators fell as much as 5 percent in premarket trading on Monday after a gunman killed at least 50 people and wounded 200 others in a mass shooting on the Las Vegas strip. Pope calls Las Vegas shooting a "senseless tragedy"
Pope Francis has called the killing of more than 50 people by a gunman in Las Vegas a "senseless tragedy". "Deeply saddened to learn of the shooting in Las Vegas, Pope Francis sends the assurance of his spiritual closeness to all those affected by this senseless tragedy," said a message sent to the Roman Catholic bishop of the Nevada city on Monday. U.S. President Donald Trump has been briefed on the mass shooting in Las Vegas, the White House said on Monday, and Trump offered condolences to victims. Islamic State has claimed responsibility for the shooting through its own news agency, however U.S. law enforcement has not confirmed this, nor mentioned Islamic radicalization as a potential motive at this stage. Islamic State claims the gunman converted to Islam months ago. Our most recent reporting indicates that police are still searching for a motive from gunman Stephen Paddock, 64, who shot and killed himself. He was not believed to be connected to any militant group, Clark County Sheriff Joseph Lombardo told reporters. The loss of life in Las Vegas is profoundly horrifying. Innocent people went out for an evening of fun and walked into a nightmare that defies our ability to understand or express sorrow in words. Our hearts are heavy today — and our thoughts are with the victims of this senseless attack, their loved ones, Mayor Goodman, and all of our friends in that great city. My prayer is that they find healing, recovery, and strength in this moment of indescribable pain. 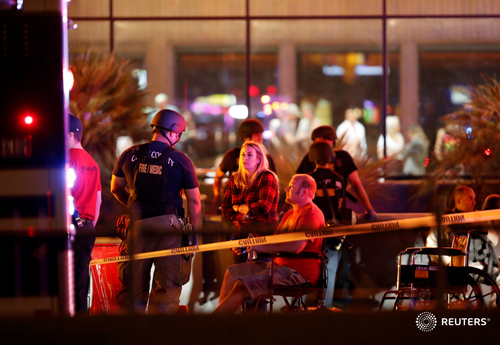 UPDATE: Two senior U.S. officials say no evidence at this time that Las Vegas shooter is connected to any international militant group. This comes after Islamic State had claimed responsibility for the shooting through its own news agency. The group claims the gunman converted to Islam months ago. President Trump calls Las Vegas shooting an "act of pure evil"